Cameras and recording devices are strictly prohibited!! Cell phone use will be strictly prohibited, before and during the show, once you enter the seated area of the arena. Anyone caught with a cell phone out and the power on will be ejected without warning or refund. If you need to use your phone, please use the designated safe zones (Concourse, concessions, restrooms and smoking area). Security measures will be enhanced and lines may be a little longer. To avoid traffic congestion and delays, please arrive early. Thank you for your cooperation and enjoy the show!! 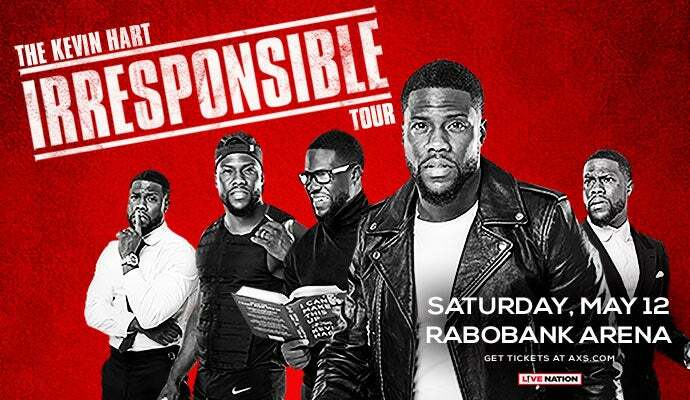 Kevin Hart’s last multi-city domestic and international WHAT NOW comedy tour sold out large venues all over the world, including being the first comedian to sell out an NFL stadium, selling over 50,000 tickets in one show at Lincoln Financial Field. Internationally, he sold out over a dozen arenas in the European market, selling over 150,000 tickets, and sold out arenas across Australia, selling 100,000 tickets. Hart’s hit comedy tour grossed over $100 million worldwide.